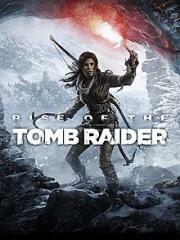 The game's storyline follows Lara Croft as she ventures into Siberia in search of the legendary city of Kitezh, whilst battling a paramilitary organization called "the Trinity" that intends on beating her to the city's promise of immortality. Presented from a third-person perspective, the game primarily focuses on survival and combat, while the player may also explore its landscape and various optional tombs. Camilla Luddington returns to voice and perform her role as Lara. The writing is surprisingly awful. The story, the journal entries and nearly all of the dialogue is absolutely terrible, some of the voice acting is embarrassing and the range of accents doesn't make any sense whatsoever. The combat doesn't get interesting until pretty deep into the game either. Most of my fun came from the exploration and puzzle solving, but when those things were good, they were great. Loses some points from the original for the terrible story but gains them back for not completely overwhelming you with enemies at every turn like the first one.